Hello everyone! 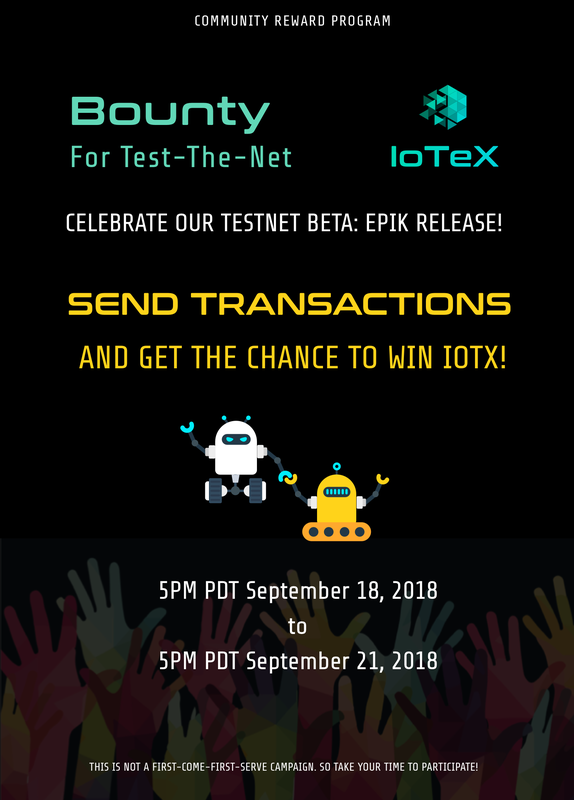 At the end of August, we were excited to release the Testnet Beta Release: Epik, focusing on bringing usability and tangibility to the IoTeX Testnet. In the past two weeks we have received huge amount of positive feedback on this release. Now we would like to thank you for your support by introducing our new community reward program: Test-The-Net, to celebrate the successful release! In this campaign, you will have the chance to earn IoTeX points (1:1 to IOTX) by testing our wallet and run our FIRST DApp connecting to the wallet. 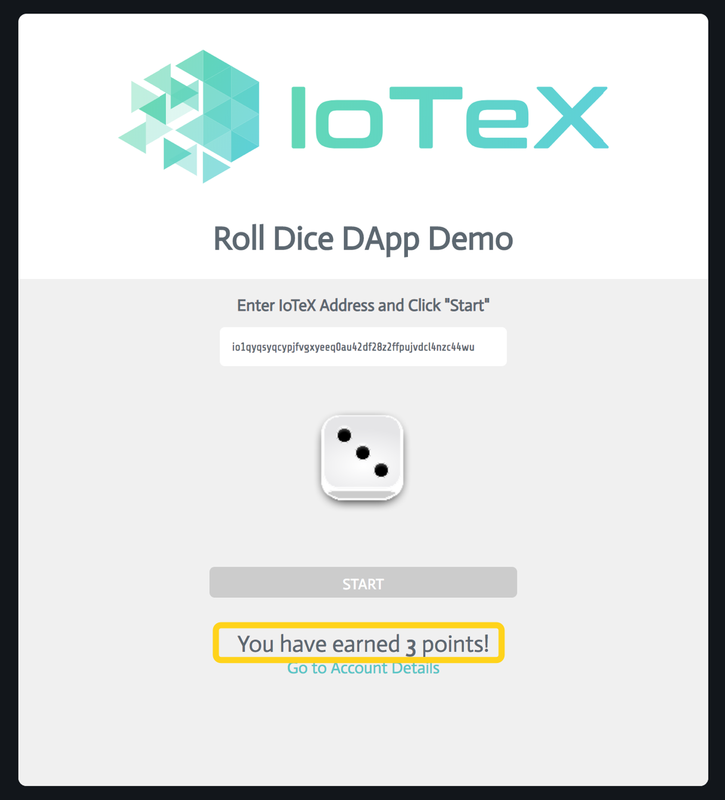 The fun Roll-Dice DApp is built for users to request more EIOTX test tokens to participate in this campaign. It is a good Proof of Concept of building & running DApps on our Testnet with the support of the newly integrated EVM in Epik release. This DApp is now open sourced to contribute to the blockchain development. Check the open sourced code here. We may extend the campaign period if necessary. Please read carefully and strictly follow the instructions, otherwise we cannot identify you in the network and cannot give out any rewards! 1.Join IoTeX Telegram Group and retweet this post with #YourHashID and #iotexepik. Check here to learn how to get your unique IoTeX hash ID. 3. Think of a message you want to put on blockchain. For example: #9efwa#I love IoTeX! 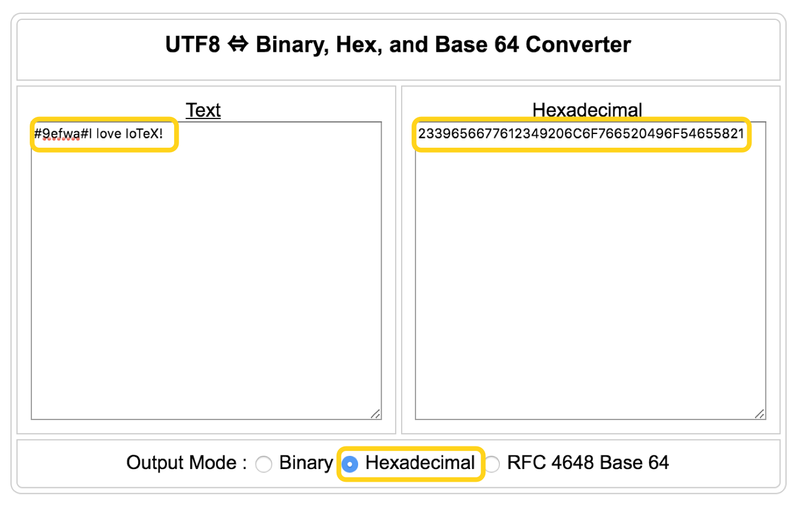 Transfer it to Hex code as the sample picture shows. 4. 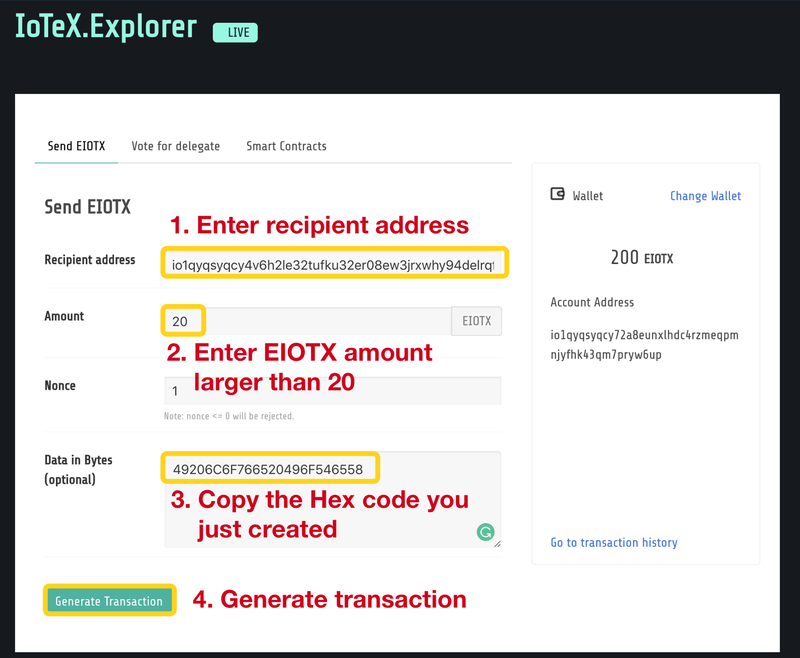 Send at least 20 EIOTX to another IoTeX wallet address. Input the message hex code you just created by the tool. 5. 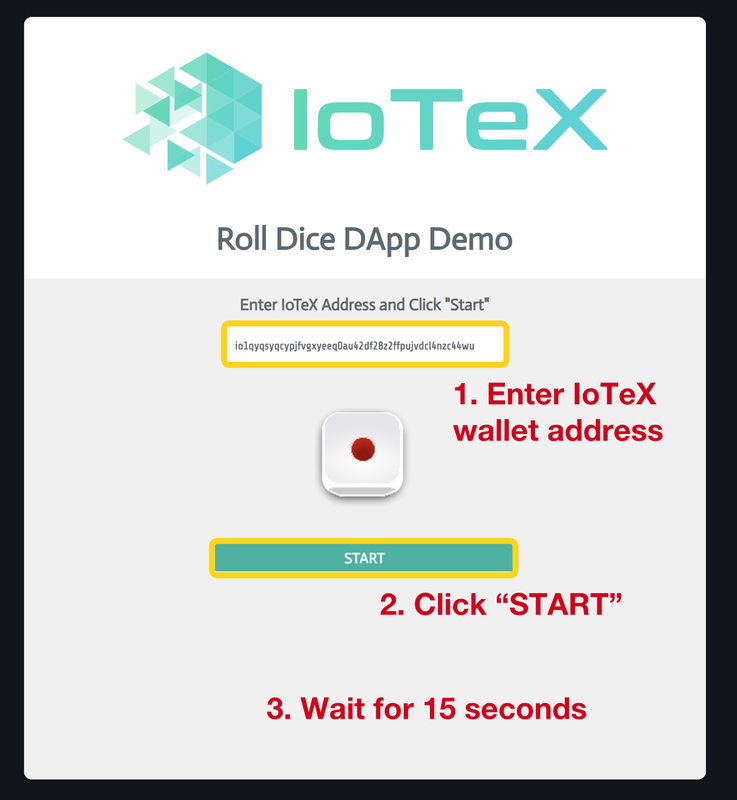 If you need more EIOTX token to send more transactions, request here from our Roll-Dice DApp. The rolling process may fail if there is too much traffic. You can retry 10-15 seconds later. 6. We will have a lucky draw after the campaign ends! In the lucky draw, we will randomly select 30 transactions from 30 unique participants to be the winners. We may increase the rewards and add more winners if necessary! Each roll will give you random number of EIOTX tokens. We will have a lucky draw for all the Transactions. There will be 30 (may increase) winners (by IoTeX hash id) in total. We may increase the rewards and add more winners if necessary. We will read your message if your transaction is selected to be the winners! The more transactions your create during the campaign, the higher possibility you will be randomly selected to be the winners. For each participant, only the first 200 transactions will be counted in the lucky draw pool. This bounty campaign helps us to improve the Testnet network. The Testnet environment may encounter unexpected problems during the campaign, we will pause and extend the campaign at any time if necessary.